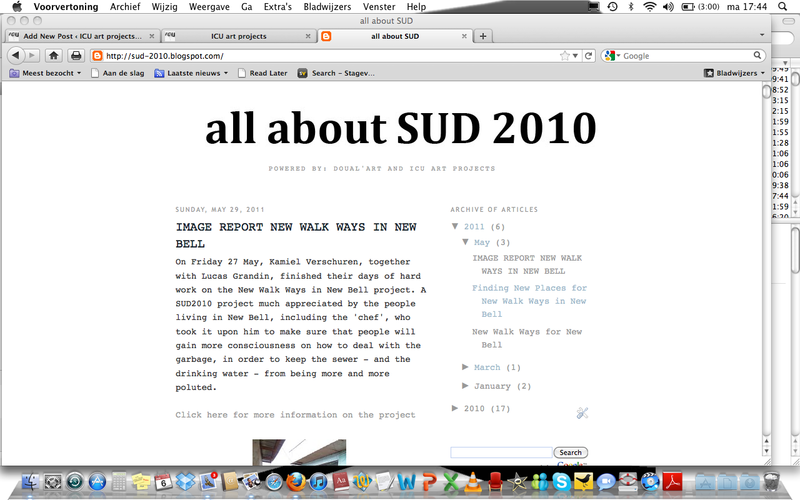 For older posts by ICU art projects, you can visit the SUD 2010 weblog. This blog was created to give information on the 2nd Salon Urbain de Douala (SUD) – a triennial that celebrates public art in the city of Douala, Cameroon – that took place in december 2010. On the blog you will find information on visiting program organized by ICU art projects, art projects that were part of the SUD 2010 and other projects initiated by ICU art projects.